Paris has been suffering from dangerous smog levels for sometime now and the Government has come up with a new solution to fix the problem. Seems like the banning of diesels and having 'car-free' days aren't working. 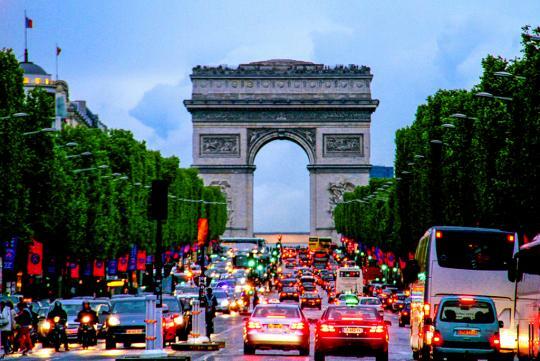 According to Le Monde, starting on 1st of July, all cars registered before 1997 and motorcycles registered before 2000 will be banned from the city center during weekdays. It reports that up to 10 percent of the vehicle population will be affected by the ban. To differentiate each vehicle's pollution status, every vehicle will have a colour coded sticker that separates them into six categories. The embargo will get more stringent as time go by. From 2020 onward, only cars registered after 2011 will be allowed on the road. Cars are so cheap in France/Paris...i don't think got problem. So they are going for 10 cycle something like our COE system without the COE. Some policy maker must have came to SG and got inspiration. Then again, the ban only for city centre (for now, since the article's last line can be taken to mean that the ban might be extended further). Its not about the car cheap of not, in other countries they not acustom to being force to change cars every ten years unlike us. Dont think its gona affect the people so badly, they probably understand the purpose. And, 1997 is like 20 years, thats like really super lenient, and on top of the fact that this rule only covers the city. So i realy cant imagine the french complaining of their freedom being messed with cos they cant drive 21 year old cars in the city centre. Yeah you're right, they are doing it progressively to soften the impact.